Did your pet eat chocolate? A poisonous plant? Your medication? There are potential pet poisoning concerns all around us—in our homes, our yards, barns, fields, etc. All too often pets are endangered as a result of their natural curiosity. If you think your pet may have ingested a potentially poisonous substance, contact your local veterinarian or the ASPCA Animal Poison Control Center at 888.426.4435. 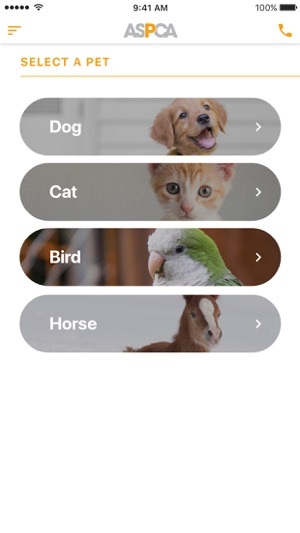 Focusing on dogs, cats, horses, and birds, the ASPCA Animal Poison Control Center’s (APCC) free mobile app helps owners quickly identify over 300 potential everyday hazards, providing crucial information about the severity of the problem and critical next steps. 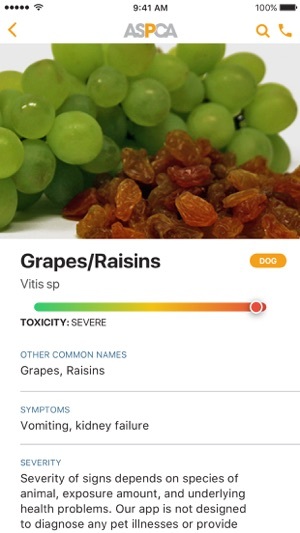 Information in the app comes from the expert veterinary staff at the ASPCA’s Animal Poison Control Center, which has handled over 2.5 million cases of pets exposed to potentially toxic substances. 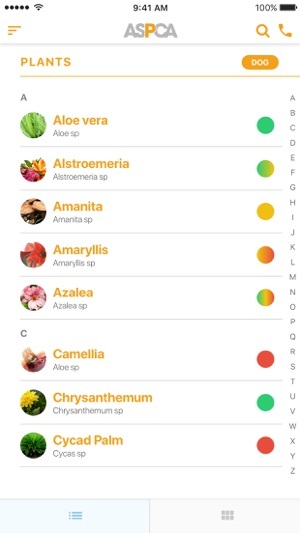 Please note that the information located in the app is not meant to be all-inclusive, but rather a compilation of the most frequently encountered toxins. For questions, or if you are having any issues downloading our free app, please contact our Client Services department at clientservices@aspca.org or submit your questions in the Feedback tab located within the app. Thanks for using Animal Poison by ASPCA! You gave feedback and we listened! 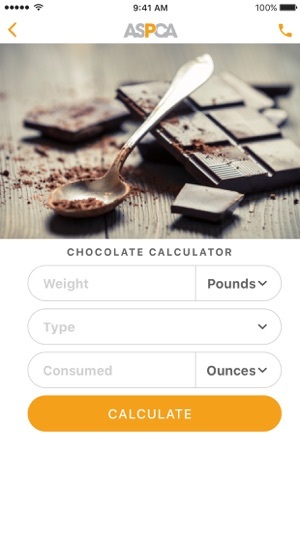 We've added an all new design, new calculators, new common name search capability, new features, the ability to give feedback in the app and more! As others have pointed out, most everything is classified by scientific names. It would be helpful to have an index of common names. More importantly, there’s no ability to search by symptom rather than specific poisons. Pet owners are likely to know there’s a problem in advance of knowing what caused the problem, so why not have the option to start here? There should at least be enough to help establish a possible triage priority, or the app should urge pet owners to call the vet immediately if they don’t know the source of the problem and the symptom may point to a severe problem. The app is a promising resource. I’m eager to see how it develops, and I’ll gladly raise my rating as it does! I'm let down with the search tool on items that may or may not be toxic to your pet. Common names and any other common products regardless how harmless it actually is, would help quell our concerns and not waste our time googling elsewhere for answers. I'm aware there's a poison control hotline for pet owners, but not everyone has access to speaking on the phone like deaf or mute owners or after hours. This app has so much potential and if they need volunteers to help input and verify common items (kind of like Wikipedia) please offer the open access as we would like to help along with ASPCA improve pet ownership, especially the first timers. I got this when the Pet Poison Control app was discontinued. What a sad replacement. It’s alphabetized by scientific name, though you can search by common name. But the entries are incomplete both in items listed and symptoms to watch for. Example: the green parts of tomato plants are toxic to dogs, as are onions. Neither of these are listed in the app at all. 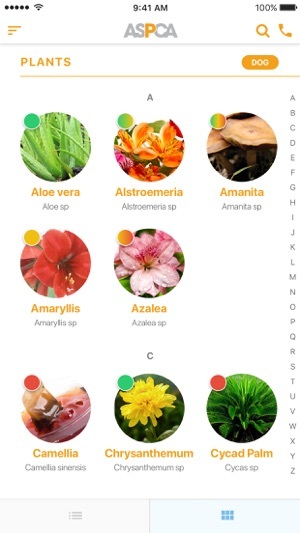 Garlic is listed under plants rather than food. And several entries are noted as ‘severely toxic’ but the symptoms fail to mention symptoms like coma and death. The ASPCA app is woefully incomplete in this regard. I shall keep searching for a better app.